Mark Anner is an Associate Professor of Labor and Employment Relations, and Political Science. And he is the director of the Center for Global Workers' Rights. He holds a Ph.D. in Government from Cornell University and a Master's Degree in Latin American Studies from Stanford University. Dr. Anner's research examines labor responses to globalization in the auto and apparel industries, corporate social responsibility, and labor law reform and enforcement in Latin America. He is the author of Solidarity Transformed: Labor Responses to Globalization and Crisis in Latin America (Cornell University Press, 2011) and Corporate Social Responsibility and Freedom of Association Rights: The Precarious Quest for Legitimacy and Control in Global Supply Chains (Politics & Society, December 2012). His work has also been published in Industrial and Labor Relations Review, International Studies Quarterly, Latin American Politics and Society, and European Journal of Industrial Relations. 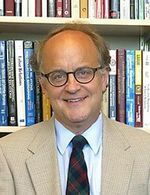 Professor Anner was awarded the 2010 George W. Atherton Award for Excellence in Teaching, the 2011 John T. Dunlop Outstanding Scholar Award from the Labor and Employment Relations Association, and the 2012 Luis Aparicio Emerging Scholar Prize from the International Labour and Employment Relations Association. 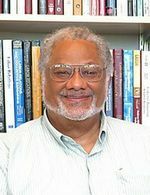 Before beginning his academic career, Dr. Anner was a union organizer in Boston and spent eleven years working with labor unions and labor research centers in Central America and Brazil. Mary Bellman is a Lecturer of Labor and Employment Relations as well as a labor educator, conducting education programs with unions and workers. Mary holds a Ph.D. and M.A. in Political Science from the University of New Mexico where her research focused on union organizing by women in Central America. Mary has many years of experience leading programs for workers, most recently at the University of Minnesota's Labor Education Service from 2008-2014. She also served as program director for a non-profit in Guatemala coordinating educational programs with union women in Central America. Her interests include popular education, labor-community coalitions, and global labor rights. Paul F. Clark is Director and Professor of Labor and Employment Relations. He also holds an appointment as Professor in the Department of Health Policy and Administration. 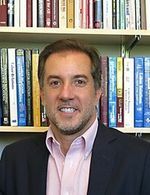 Clark's research interests include employment relations in the U.S. healthcare industry; the globalization of the labor market for healthcare professionals; union structure, government and administration; and union member commitment and participation. He has worked with numerous local and national unions on research projects and regularly serves as a speaker/workshop instructor for labor education programs. He is the author of four books, including Building More Effective Unions, published by Cornell ILR Press in 2001. His research has also appeared in the leading scholarly journals in industrial and labor relations and applied psychology. 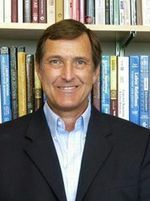 Clark serves as the Director of the M.S. and M.P.S. in Human Resources and Employment Relations program at Penn State and regularly teaches undergraduate and graduate courses on industrial relations, labor law, and labor and globalization. He holds a Masters degree from the Cornell ILR School and a Ph.D. from the University of Pittsburgh. Clark has also taught labor education programs for local officers and activists from a wide variety of unions for 25 years and has worked on research projects with the United Mine Workers, United Steelworkers, the National Association of Letter Carriers, and the Pennsylvania AFL-CIO. Sarah Damaske is an Assistant Professor of Labor and Employment Relations, Sociology and Women's Studies. She holds a Ph.D. and M.A. 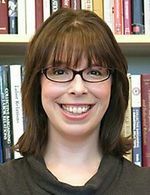 in Sociology from New York University and, following her doctoral work, was a postdoctoral fellow in the Sociology Department at Rice University. Her areas of specialization include gender, work-family, class and race. Dr. Damaske's research investigates how competing forces of stratification, particularly gender, race and class, influence work and family transitions. Her book, For the Family? How Class and Gender Shape Women's Work, is forthcoming (October 2011) with Oxford University Press. In it, Dr. Damaske challenges the popular perception that middle-class women 'choose' whether or not to work, while working class women 'need' to work. Dr. Damaske deflates the myth that financial needs dictate if women work, revealing that financial resources make it easier for women to remain at work and not easier to leave it. She argues that the public debate is wrongly centered on need because women respond to pressure to be selfless mothers and emphasize family need as the reason for their work choices. Whether the decision is to stay home or go to work, women from all classes say work decisions are made for their families. 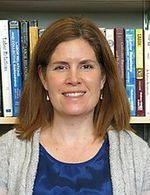 Other research by Dr. Damaske has been published in Gender & Society, Sociological Forum, and Social Science Research. 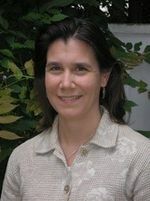 Dr. Damaske's research has received grants from the National Science Foundation and the Woodrow Wilson National Fellowship Foundation and awards from the American Sociological Association, the Sociologists for Women in Society, the Eastern Sociological Society, and the Society for the Study of Social Problems. Charles Lumpkins is lecturer of Labor and Employment Relations and LER Undergraduate Officer. He holds a Ph.D. in History (2006) from Pennsylvania State University and a Master's Degree in History (1992) from University of Maine and a Master's Degree in Library Science (1977) from Simmons College. Dr. Lumpkins's research focuses on the history of African Americans with particular interests relating to the history of social and political movements, the history of the working-class. Lumpkins was involved in union drives when he worked as a paraprofessional in the Harvard University library system and as a librarian at Maine Maritime Academy. Paul Whitehead is a Professor of Practice in Labor and Employment Relations, specializing in labor and employment law. He earned his B.S. in Labor Studies and M.S. in Industrial Relations from the University of Wisconsin. He is an honors graduate of Harvard Law School. Whitehead practiced labor, bankruptcy, and benefits law for almost 30 years for the United Steelworkers in Pittsburgh, PA, serving as general counsel from 2001-2009. His career has included, in addition to years of collective bargaining, the representation of workers and retireees affected by corporate restructurings, foreign trade disputes, and the design of benefit programs. He joined the PSU faculty in early 2009 and offers courses in both the School of Labor and Employment Relations and Penn State's Dickinson School of Law. 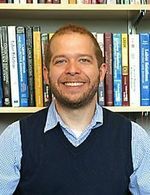 Lane Windham is a post-doctoral scholar with Penn State University's Center for Global Workers' Rights. She received her doctorate in U.S. History from the University of Maryland. Windham spent eighteen years in the union movement and served as media outreach director for the national AFL-CIO. She also worked as a union organizer and regional communications director with the clothing and textile workers' union. Windham has published widely on issues of class, race and gender. Her work has appeared in the journal LABOR, the Baltimore Sun, The American Prospect, The Hill's Congress Blog and the Cleveland Plain-Dealer.